Swanky Bingo does exactly what it says on the tin, a black and gold colour scheme and glamorous photographs of fabulous people definitely bring a sense of ‘Swanky’ to proceedings. For those few who are yet to be familiar with the promotions and games choices available at (practically every single one of) these sites, here is what you will find at Swanky Bingo. 90, 80, 75, 50, and 30 ball bingo are all available here, as they are at every single other site. If this is getting repetitive, just imagine how you’re going to feel when you realise it’s true. 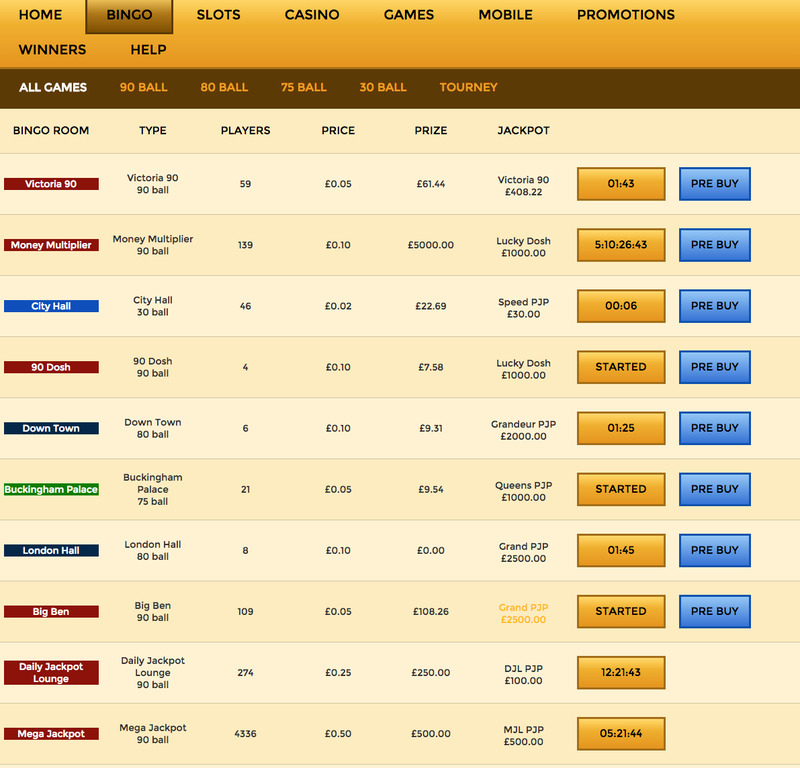 On top of the bingo selection on offer, there is also a good choice of slots and table games to choose from. The problem is, that this isn’t a review of Swanky Bingo, but it’s network, the only thing I can review about it is how it looks, which is very nice.